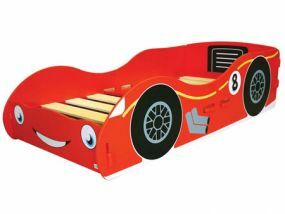 Bedz 'R' Us sell a fantastic range of Kidsaw Junior Beds. These junior beds are designed as a child's first bed. 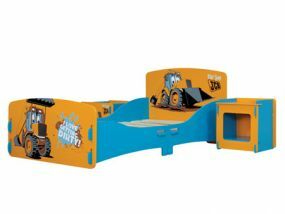 They are low level and all come with raised footers, headers and all have raised side bumpers to keep your child safe and snug while they sleep. 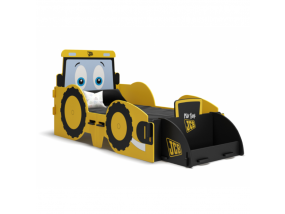 There are many different designs to choose from that include the Owl and Pussycat junior bed, Racing car junior bed, Patisserie junior bed and JCB Digger junior bed. 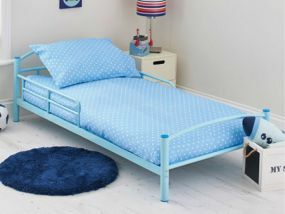 You can also buy the Shorty junior bed which is available in blue, white and pink. 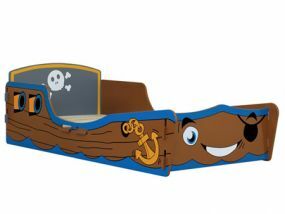 Each Kidsaw Junior Bed has its own unique accessories that can also be purchased, such as themed storage bins, chairs and bedside tables. There is also the option to purchase the required mattress, and they can also be bought separately. 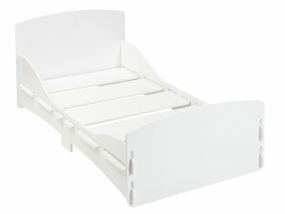 All Kidsaw Junior Beds are available with free next day delivery and are discounted for great savings.